What are you giving out for Halloween? My block has only 3 kids on it – 2 of which are my nephews, so I am not even sure if my family bought candy. If they didn’t, I will give the kids some of my common cards. I have a pretty big box that has several years worth of base cards that I don’t need. 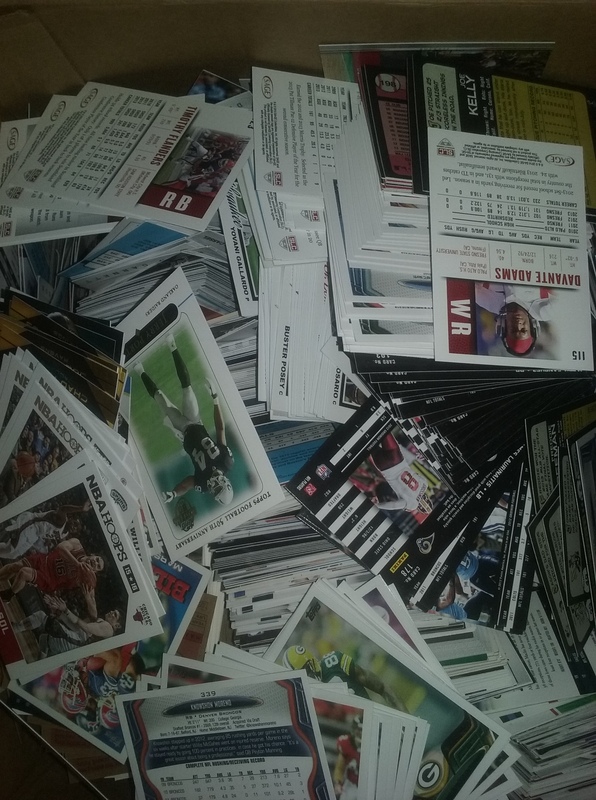 It’s not that I don’t want them, it is just a bunch of base cards that would be appreciated more by someone else – like kids, who I regularly give too from this box. As someone on a budget, I am not ashamed to admit that I shop at dollar stores. Normally I don’t buy cards because the packs are obviously hitless, but they had something that caught my eye. 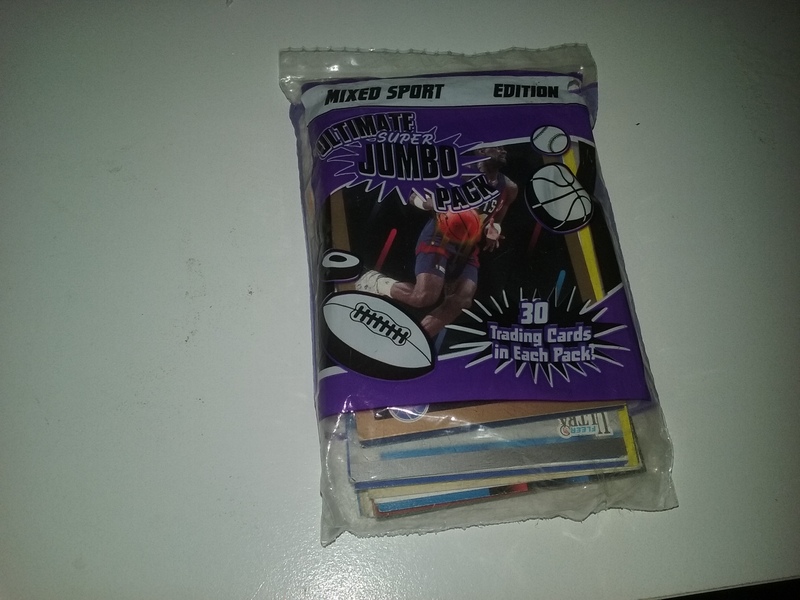 A pack with 30 cards from mixed sports. Since The Fairfield Company treated me so well after one of posts about their product, I decided to buy product for a third time. 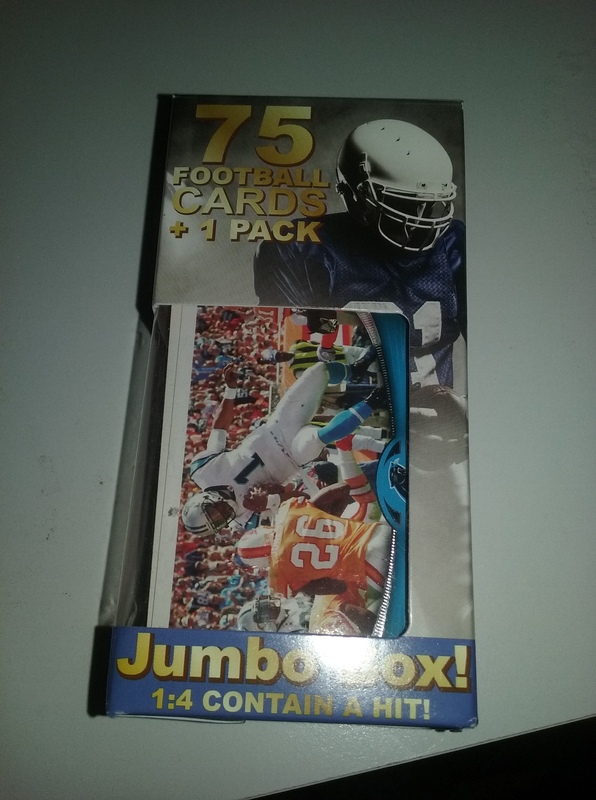 For the price of $5.99, I bought a ‘Jumbo Box’ of football cards. I bought this product purely because I liked how they treated me when they sent me that jersey card. As I said, the bid board at the card shop feet away from my college has been awesome. In my previous 4 semesters at the school I had classes on Friday. With the bid board ending on the weekend, this ensured that I always ended up with good stuff. This semester, my last at the school, I have classes on Mondays and Wednesdays so that gives people plenty of time to outbid me. So despite having to go to school on a Friday the other week, the positive side was the card shop. I finally ended up with a great haul this semester. 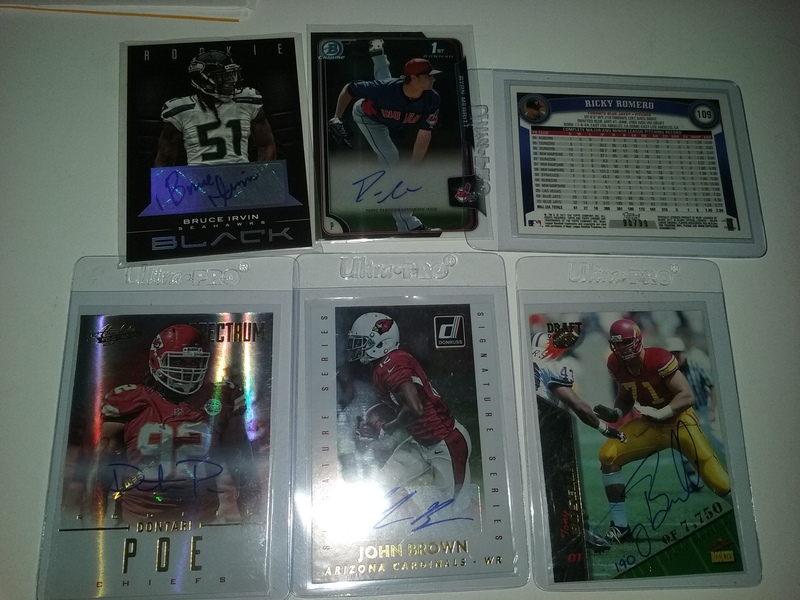 I got lucky and won 2nd prize in one of the NFL pick-em contest over at Steel City Collectibles. See it does take skill to win stuff sometimes. 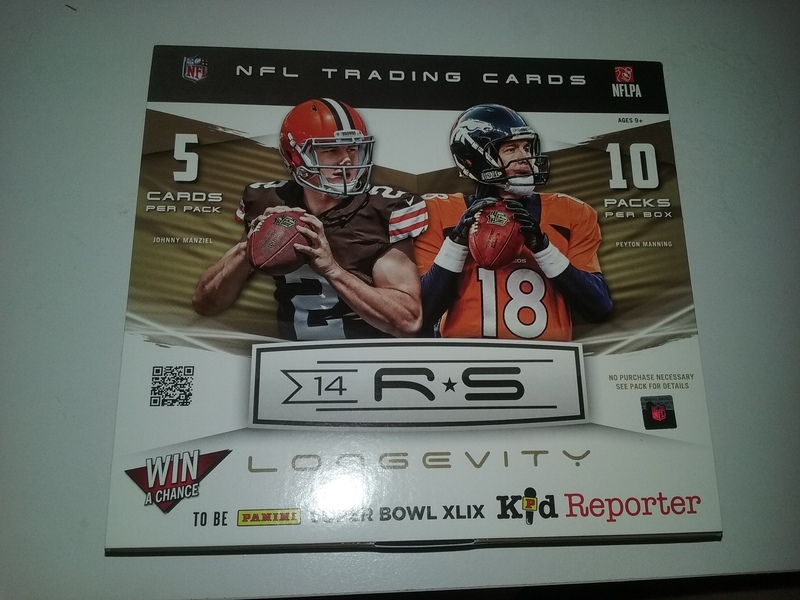 This was actually my 3rd win in as many NFL seasons and I usually get a blaster box as a prize, so I wasn’t expecting anything special. I received the box after week 1 and it promptly sat on my desk until this week when I rewarded myself after writing a mind numbing 5 page paper for one of my classes – who am I kidding, I love writing papers, no joke. The box had a sticker that said ‘Target exclusive’ on it so I wasn’t expecting anything. The days that I come in to the card shop have been terrible for me winning anything off the bid board, but I finally scored. I have to say this is one of my nicer scores as I was able to get 3 vintage 1958 Topps football cards and a Hall of Famer autograph for $3.50.